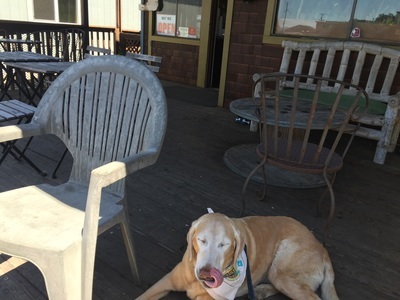 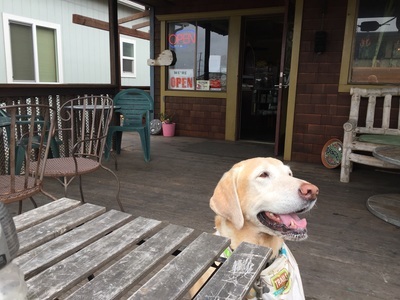 Description: This is a cute little cafe with great food and a large outdoor patio that welcomes dogs. 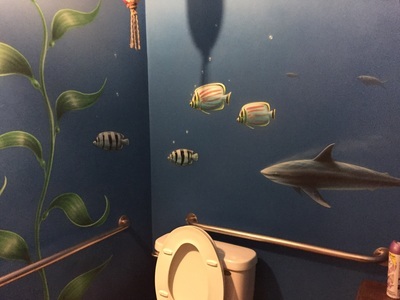 The entire place has a beachy theme, including the restroom, which is painted like an underwater ocean scene. 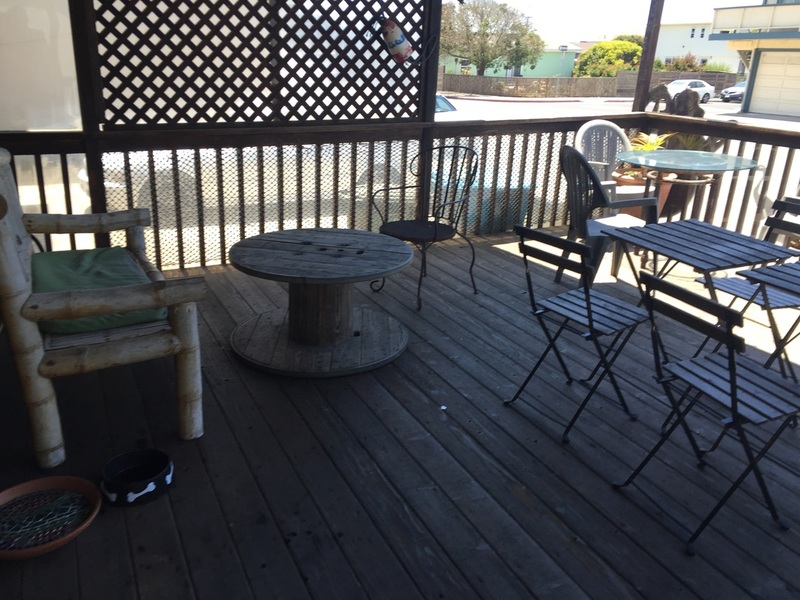 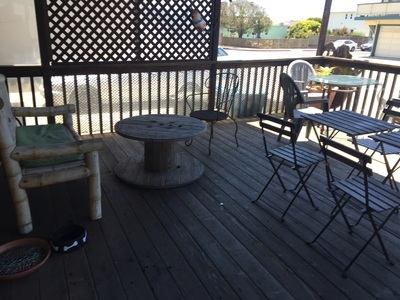 The outdoor patio has several tables, an outdoor couch, and a communal dog bowl. 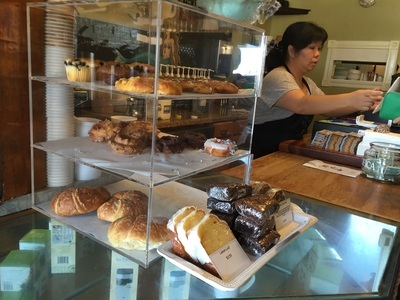 The menu is pretty diverse for a cafe, offering a variety of coffee, tea, bagels, sandwiches and pastries. 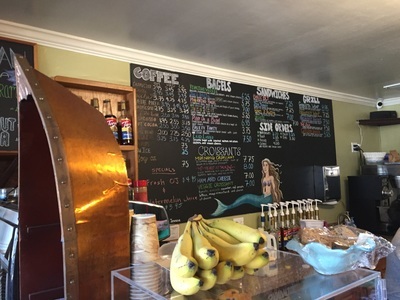 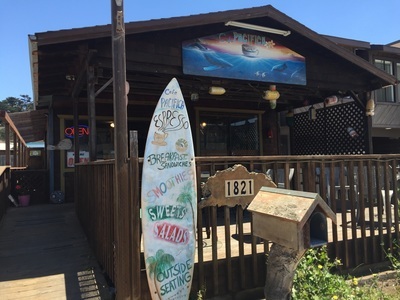 The staff is friendly and it has a laid back atmosphere. 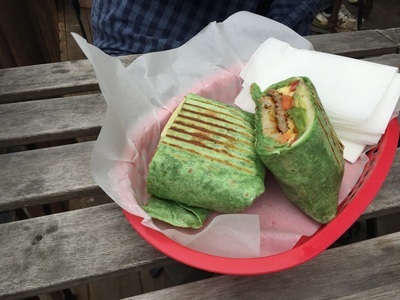 All the foods my friends and I sampled we enjoyed.